The mammoth event will be displaying some of the best technological solutions across the globe. 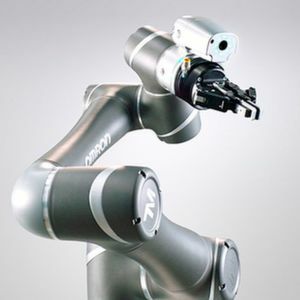 Five of these innovations – the collaborative robotic pick cart, Azo RoLog system, geek sorting robot, Supplybrain software and the Mark 2 smart glove have been highlighted in this article. Chuck – a collaborative robotic pick cart introduced by 6 River Systems is capable of enhancing productivity at warehouses. Equipped with sensors, Chuck makes use of new concepts such as machine learning and artificial intelligence to guide workers through their work zones. This simple action helps workers to work more efficiently without the need to walk for longer durations. Integrated with the ‘Warehouse Management’ system, the robotic cart undertakes tasks such as picking, counting, replenishment and sorting with ease. Chuck can be spotted at Hall 1, Stand K37 in the ‘Driverless transport systems’ area. The Azo RoLog system by Azo proves beneficial for dosing an extremely variable number of micro quantities up to 10 kg in a fully automatic process. Comprising of a robot, the AZO RoLog system replaces complicated and expensive manual weighing of micro quantities. Keeping in mind the security aspect, the system also has a safety cage which surrounds the robot thus, offering complete protection for the product and the machine operator. Ideal for diverse industries including pharmaceuticals, food, chemicals, plastics as well as meter pigments, dyes, aromas, additives, active substances and numerous other micro quantities, the set-up makes it convenient to achieve maximum versatility. The Azo RoLog system will be displayed at Hall 1, Stand B81 in the ‘Warehousing equipment / Materials handling and storage technology / Automation’ area. Geekplus Technology Co. will also showcase its Geek Sorting Robot – the S20. Capable of automatically sorting parcels 24*7 in the warehouse distribution center, the robot is quick and accurate. Enabled by AI and machine-learning technologies, the sorting robot with a weight of 42 kg and a payload of 20 kg boasts of an increased sorting efficiency i.e. 10,000-20,000 units per hour. Compared to traditional sorting work, the robot saves 80 % labour and offers a Return on Investment of less than a year. This unique innovation will be showcased in Hall 7, Stand C51 in the ‘Robots’ exhibition area. The specialised software called ‘Supplybrain’ is an intelligent warehouse control that will be unveiled at the show by FPrimeZero. 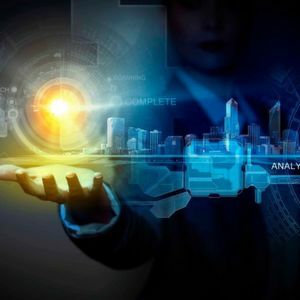 With an aim to achieve a highly-efficient supply chain management, the company has combined control engineering with artificial intelligence (AI). Offering real-time analytics of orders and material flows in the supply chain, the software also manages process workflows. It is also capable of integrating the flow of goods, dockyard management, personnel planning, and predictive maintenance seamlessly within the supply chain. The ‘Supplybrain’ software can be seen in Hall 6, Stand F62 at the ‘Software / IT for efficient warehousing and process control’ exhibition area. Workaround will also be displaying its smart glove – Mark 2. The glove assists the logistics staff to work more efficiently and faster. 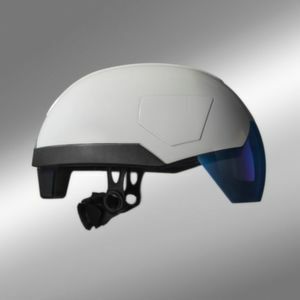 With the Mark 2 smart glove goods can be scanned with the help of an in-built camera thus making the process hands-free. The module can also be connected to tablets, glasses, pick-by-voice or mobile terminals via 868 MHz or Bluetooth Low Energy. The Mark 2 smart glove can be found in Hall 6, stand D76 at the RFID / Auto-ID / Labelling technology exhibition area. These are just some of the product innovations that will be showcased at LogiMAT 2019. Apart from this, there will be numerous other technologies that will be awaiting you at the mega fair. See you there!